Do you love to doodle? I, for one, am a BIG FAN of the latest craze that is adult coloring books. I have always been a doodler. My school papers were filled to the brim with doodles, flowers, fancy letters, and more. I am so glad that I can put my doodling to good use now! 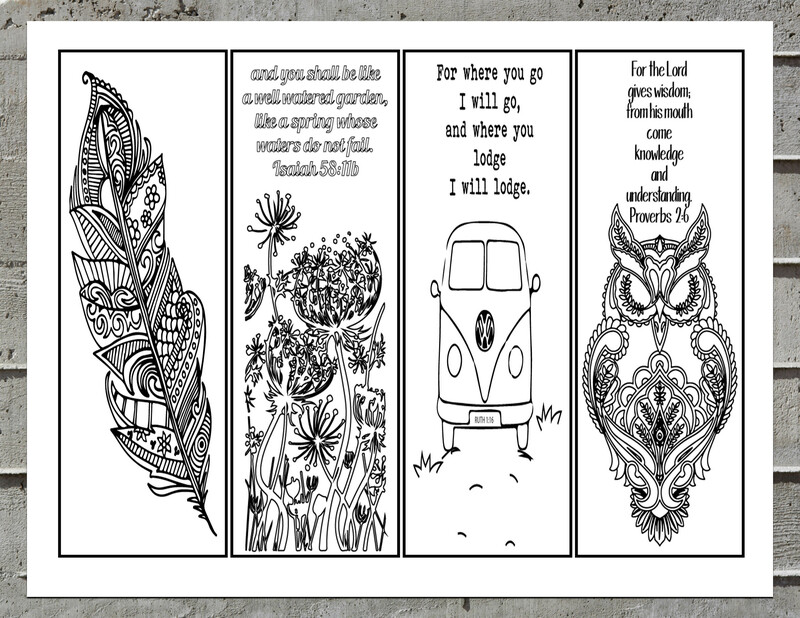 Today’s FREEBIE is a printable with four bookmarks just waiting to be colored in. I have a friend that has a love hate relationship with my drawing. She loves what I do, but she hates it because she doesn’t have the gift of doodle. This freebie was made with her in mind. 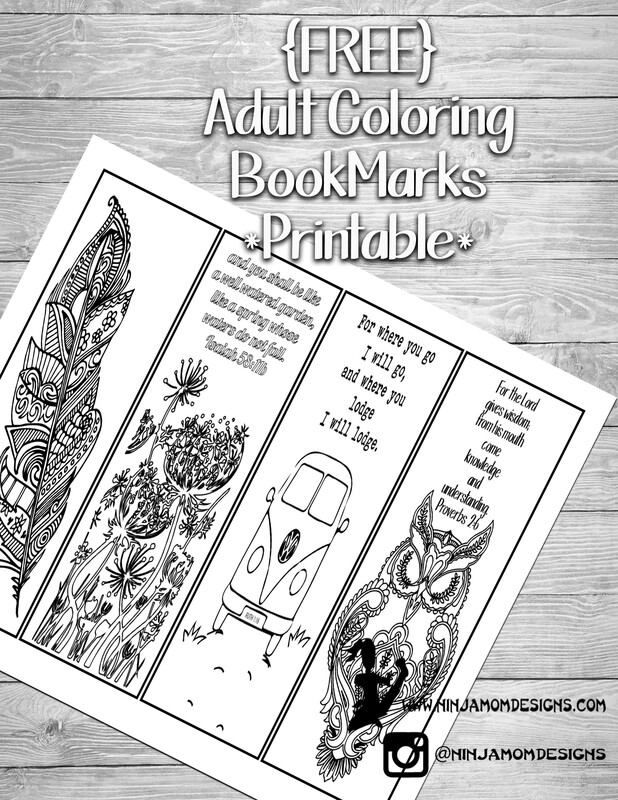 The tough part is done… all you have to do is download, print, and color! – Save to your computer so you will ALWAYS have these fun bookmarks on hand. – PRINT-I printed on cardstock. If you print and use these, tag @ninjamomdesigns on Instagram so I can see them. 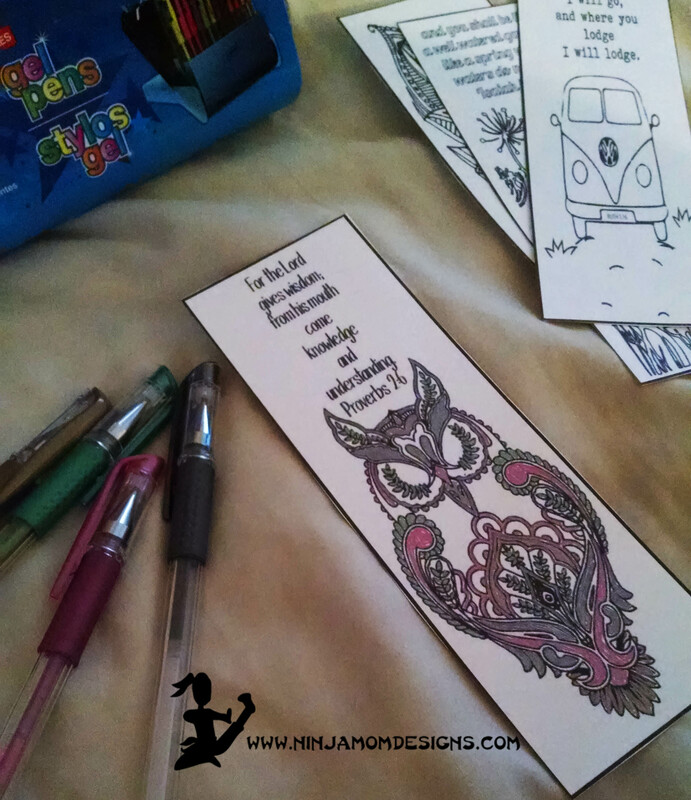 I love to see other people using my FREE printables. I would love to be inspired by you as well!